NASHVILLE, TN – Search engine optimization is an ever-changing field, and SEO experts work tirelessly to roll with the punches. If you want to search Google and find your business at the top, SEO is essential to your success. At Millionairium, we are constantly researching online SEO patterns and putting those findings into practice. While SEO companies know the ins and outs of SEO, search engine optimizers are probably not experts in your specific field. For the most efficient search engine optimization, you can clue your SEO provider in to the latest trends in your industry, providing a great resource for content. Before selecting an SEO company, do some research. Different companies have different specialties, and you’re encouraged to shop around. Make sure your SEO company is honest and diligent. Be wary of firms that promise unrealistic outcomes. As we’ve said before, SEO takes time, and companies that guarantee overnight results are too good to be true or sometimes using black-hat techniques. In a previous post, Millionairium’s CEO Ali Husayni gives readers 10 common mistakes to avoid when choosing an SEO company, including not looking at ranking reports or examining proven results. Since you’re doing the hiring, you shouldn’t be afraid to ask for references. At Millionairium, we care about your success, as your success is also our success. Life can be hectic, and if you’ve hired an SEO company, it means that you don’t have time to do your own optimization – it means you’re busy. At Millionairium, we’re lucky to have clients who take the time to talk to us despite their full work schedules. Try to be prompt replying to phone calls or emails. In contrast, if you feel your SEO company is hard to touch base with, that’s a conversation you should have with your SEO expert. Many Millionairium clients are experts in their fields, and as lifetime scholars of their subjects, they’re continually learning. Sharing breaking industry news can save your search engine optimizer time in research, meaning you’ll have an extremely relevant topic while giving your optimizer more time to craft meaningful pieces. Also keep your SEO company up to date with any changes happening within your company. If you’re introducing a new product line or hiring a new executive, your SEO firm may be interested in writing a press release on these changes. Your SEO company has a plan in place, and it’s important to take notice of the changes you see as a result of that plan. Has your business gained exposure? Have you had more inquiries than normal? Fewer than normal? Providing your SEO firm with your experienced results can be helpful for both parties. Providing real results can help you evaluate the right SEO company for your needs. Also feel free to ask any questions you might have, no matter how trivial they might seem. The right SEO company will work hard to deliver results, but your small efforts to keep your SEO company informed about your industry will be beneficial to everyone. If you’re interested in learning more about how Millionairium delivers results, contact us today. I like millionairium.com. This site is one of the top SEO companies I found…..
thank you for sharing information,it helped me ,my website page rank reduced suddenly. How can I increase page ranking of my site? The most important point you have shared is \”Share Your Knowledge\” usually people hesitate to share their knowledge or they don\’t want to share it because they think that you will take over on their seats. It is a very bad situation and we should avoid this thinking and share our knowledge with all. Thanks for your SEO tips. Thanks a lot. it\’s an amazing information….keep post….. It should be noted also that the client\’s inputs at the very beginning is very crucial for selecting the right keywords and geographical market for each SEO campaign; because you cannot afford working months on a set of keywords that doesn\’t bring you that effective traffic to get converted to prospects and customers. I think long tailed keywords make competition easier then short keywords and also people search on Google with them because people don\’t know SEO and try to find the most related results in this way. Let me know more in case my idea isn\’t correct. How can we totally avoid those Black-hat companies? They all look alike. 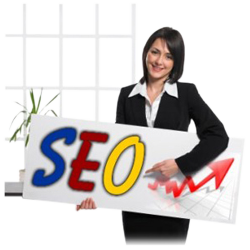 as u rightly mention there is need of effective search for SEO company.